A great day alongside our long-standing partners; Aston Martin Works. Saturday 13th May saw the 18th Annual Aston Martin Sale, held at Aston Martin Works by international auctioneers Bonhams. The sale was a celebration of all Aston Martins, both old and new. The sale included cars ranging from 1953 to 2016. There were a number of Aston Martin and Lagonda cars for sale, alongside related automobilia. One of the most interesting cars at the sale was the 1970 Aston Martin DB6 Mk 2 Volante, of which only 38 were produced. The rarity of this car meant it sold for an incredible £785,500 including buyer’s premium. 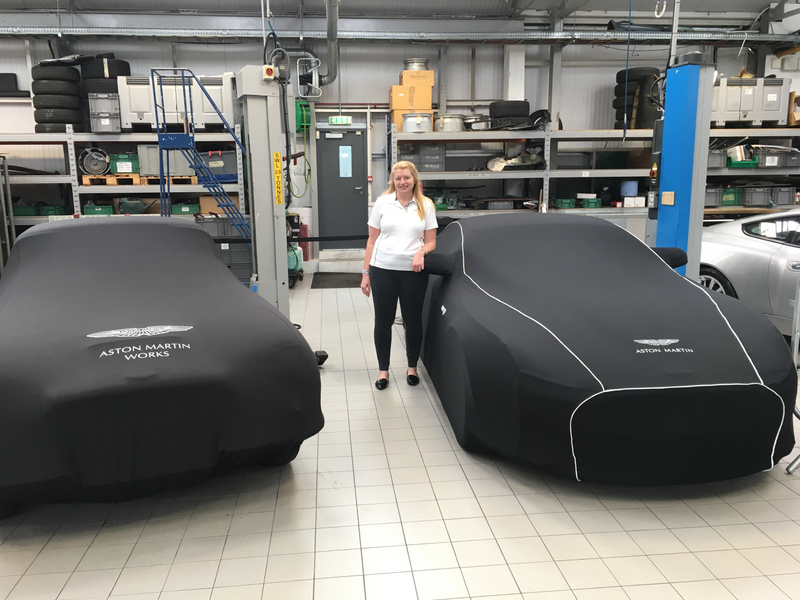 Classic Additions are really proud to work closely with both Aston Martin and Aston Martin Works, supplying them with our bespoke car covers. 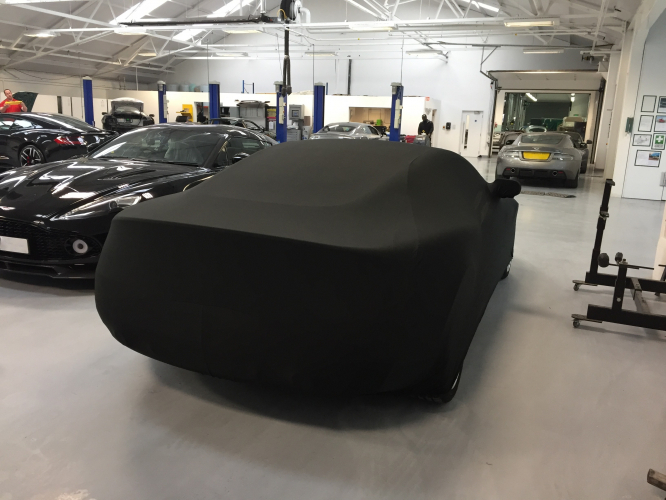 We manufacture exclusive Custom Made Indoor Car Covers as well as some unique Super-Soft Stretch Indoor Car Covers for them; all available to purchase from Aston Martin. 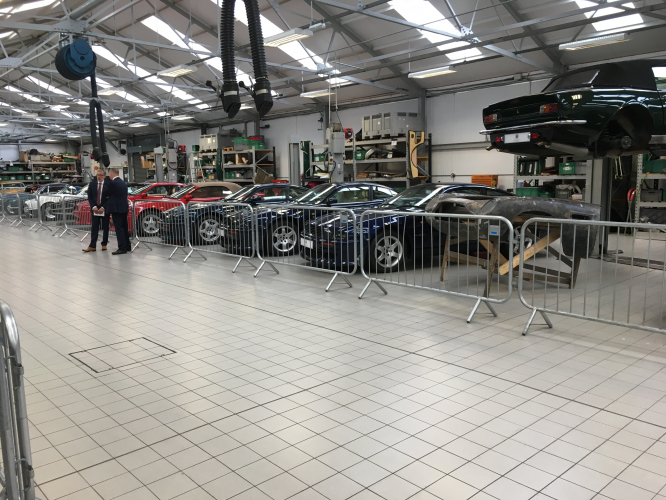 We were delighted to join Jamie Williams (Parts Manager, Aston Martin Works) and the rest of his team to assist with the sales of the covers at the Bonhams sale. 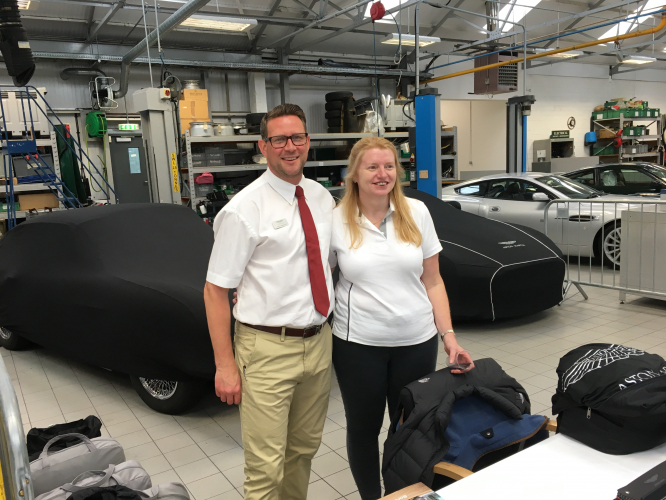 Our Aston Martin specialist Mandy set off with Adrian on Saturday morning to Newport Pagnell. Upon arrival Aston Martin Works kindly provided a DB9 and a DB6 so we could display our car covers. On display, we had a black Custom Made Indoor Car Cover on a DB9. This included the Aston Martin logo embroidered on the bonnet, along with ‘DB9’ embroidered on the wings. The piping was done in silver to really set this car and cover off. 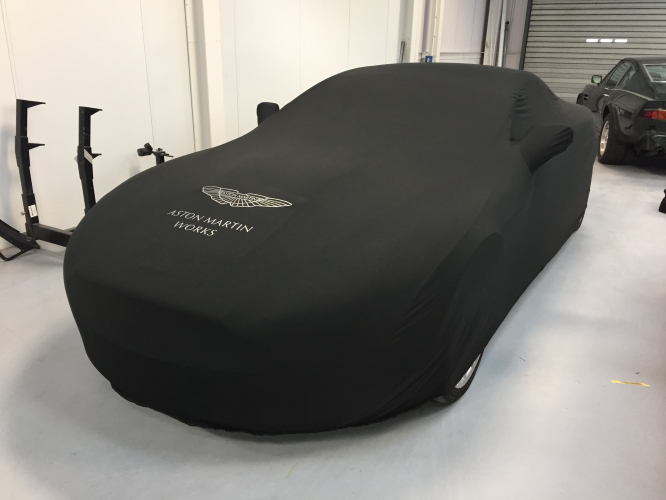 We also had one of the Super-Soft Stretch Indoor Covers, which was printed with the Aston Martin Works logo. Both car covers looked great, receiving a lot of interest on the day, with each one reflecting the beauty and elegance of the cars underneath. The day was a brilliant success, with Mandy and Adrian working hard alongside Aston Martin, helping promote a truly outstanding British marque. We look forward to continuing to work closely with Aston Martin on future projects.